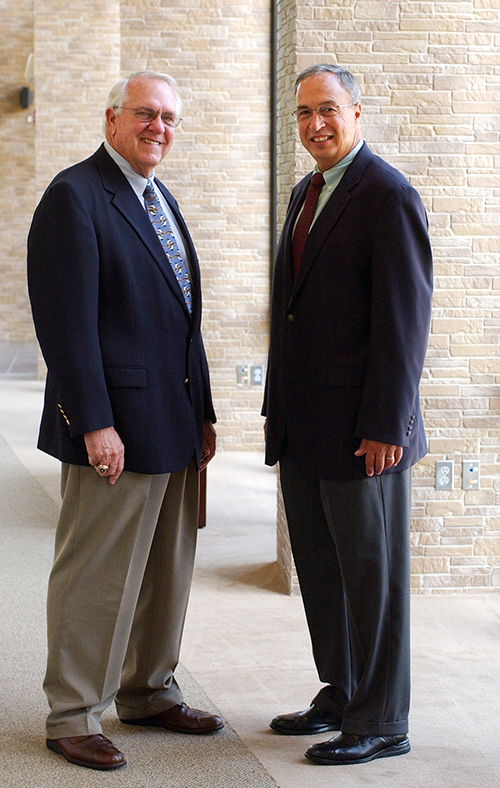 Dan Washburn, left, and Steve Savarese in July 2007. Savarese took the reins as executive director of the Alabama High School Athletic Association in 2007 after Washburn's tenure of 17 years. Courtesy of The Birmingham News. All rights reserved. Used with permission. Photograph by Frank Couch.